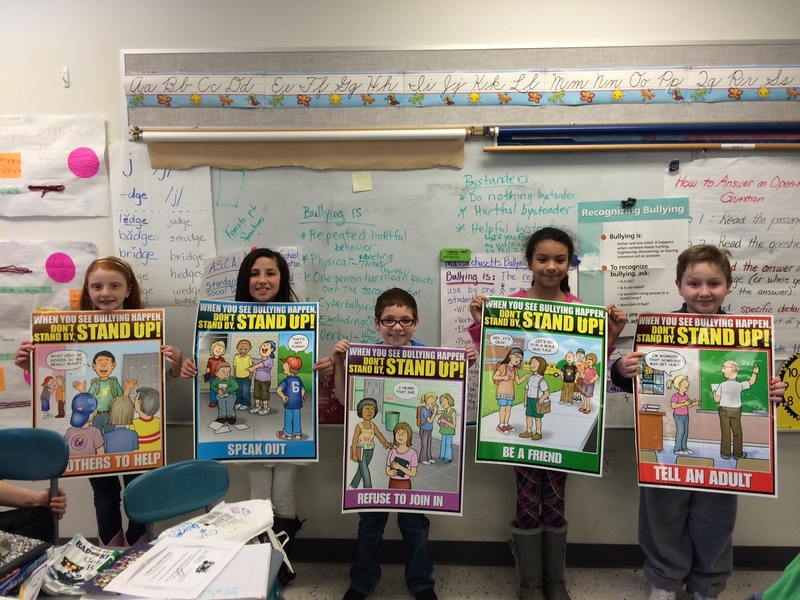 On March 19, 2015, Mrs. Stimson’s 3rd Grade class completed their training in the Steps to Respect bullying prevention curriculum. The class reviewed what they had learned with Mrs. Schwab, Guidance Counselor, including the Massachusetts Bullying Law, and the definition of bullying. Students also learned how to report bullying by walking away calmly from a hurtful situation, and then tell teachers, and parents/guardians about the problem. In addition, 3rd graders learned how to be an active, helpful bystander, by telling/reporting any hurtful behavior that they see, hear or experience to teachers and parents/guardians. The R.C.S. 3rd Grade students read the A.R.R.S.D. 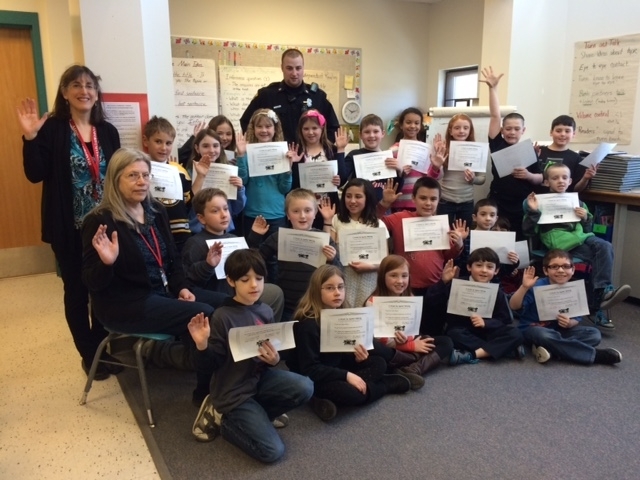 Bullying Prevention Pledge with Officer Thiem, of the Royalston Police Department helping Mrs. Schwab and Mrs. Stimson with the class’ completion of the Steps to Respect program. Awesome work 3rd graders! This curriculum is also taught to the 4th, 5th and 6th grade classes, who will soon be completing their training. Mrs. Superchi, Principal of Royalston Community School, is a wonderful supporter of the Steps to Respect lessons in the school. Mrs. Stimson’s 3rd Grade students at R.C.S., hold up the active, helpful bystander posters that Mrs. Schwab, Guidance Counselor, uses to teach the Steps to Respect skills.